XgenPlus has completely depleted the language barrier that can hinder in one’s business. Enterprise can now be able to reach regional people and send email in the language ‘Urdu’ that regional people can understand. Getting email address in Urdu is not only beneficial for the Enterprise but is also proven profitable for the government & the society too. Many social awareness campaigns, schemes and policies government starts and outreach people via emails, websites, social networks but remains out of reach for the regional people due to the language barrier as it was all written in English. Think of the option, if government convey every scheme, policies in Urdu how many people will be benefited in a short span of time and without any hassle. 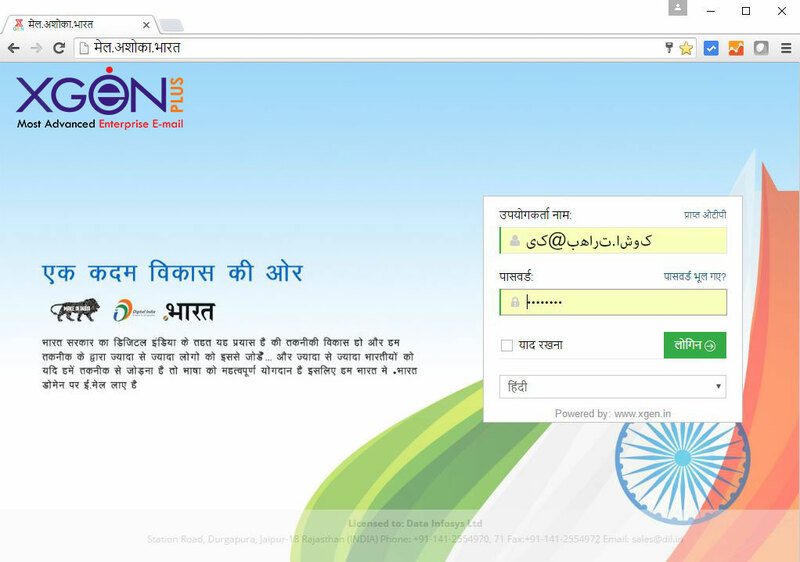 Moreover, the email address in Urdu builds trust for the Government among people. Let’s have a look at the example for the Urdu email address. اگر آپ کے ڈومین نام اشوک ہے تو آپ کا ای میل پتہ کچھ اس قسم دکھایا جائے گا. Urdu, a language that has it’s own beauty and grace. Around 90 million of the people globally speaks Urdu as their primary language. It is found that out of 90 million Urdu speakers around the globe, 10% of them knows the English language and rest 90% knows either Urdu or Hindi. It is very difficult for those 90% people to get connected with the web world as there was no such technology that can connect NonEnglish speakers digitally. Today, the scenario is different. You will be happy to know that XgenPlus has bought up a technology first in the world to develop an IDN supportable mail server that allows people to have their email address in the Urdu language. People can also send and receive emails in the Urdu language. To get Urdu Email Address fill up the contact us form on the right side of the page and send us your query. We don’t mind if it is in Urdu..